Cool song. But what makes this a "music video"? Does not belong on Pouet? 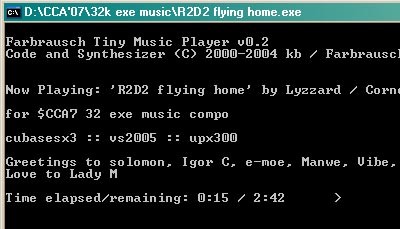 If it does, where are all the other executable music entries from the last 10 years? cool tune, but yeah, does it belong here? huzzah for v2! Decent music and player. page created in 0.016801 seconds with 15 queries.